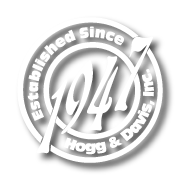 The Hogg & Davis, Inc. Model 424 Cable Sheave is proving itself to be the answer to many problems in underground cable pulling. The large 24-inch diameter wheel can be used with standard size cables without the fear of crimping or distortion. The lightweight aluminum wheel can be used with lead or synthetic sheath cable with no worry of scarring or marking the cable. The 360- degree swivel hook provides a strong anchor and allows the sheave to stay in line with the cable eliminating the problem of the cable “walking out” of the groove. 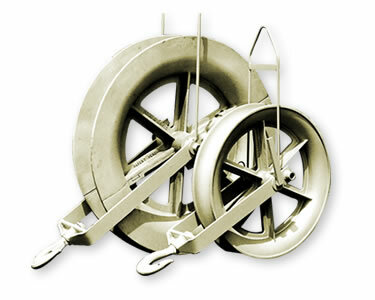 A lifting bale is incorporated into the apparatus for lowering the sheave into a vault and holding it in the proper position while it is being anchored.